My foray into the invention journey started in 2003 when I first had an initial idea to reduce the expensive “DNA” problem in the NHS. “DNA” here stands for “Did Not Attend” or “No show” for appointments in GP surgeries and in hospital. 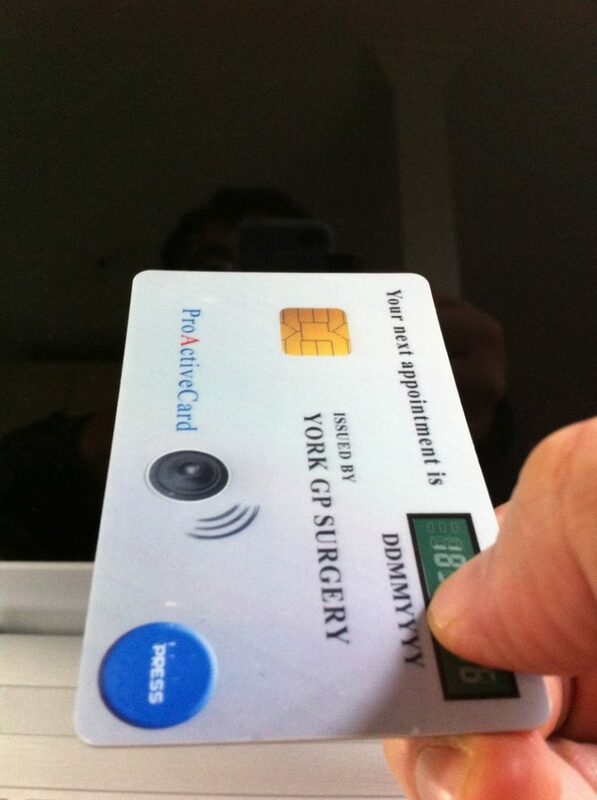 I came up with a solution based on a programmable smart card that can function as an alarm, capable of showing electronically the appointment time and producing a loud alarm sound to remind patients of imminent appointments. The difficult challenge of this invention is this card needs to be the same size as a credit card, so it could readily be carried by everyone in their wallet or purse. I called it the “Activity Reminder Smart Card”. It led me to work with a high tech French company as well as a frustrating dally with a US start-up. To make it happen, I need to find investment, and then I heard about Dragons Den! Below are two short clips which were shown in February 2005. Me with Philippe Blot (right, of nCryptone, formerly AudioSmartCard SA) and Thep Tan (left, of InCard Technologies Inc.) in the 2005 Cartes show in Paris. 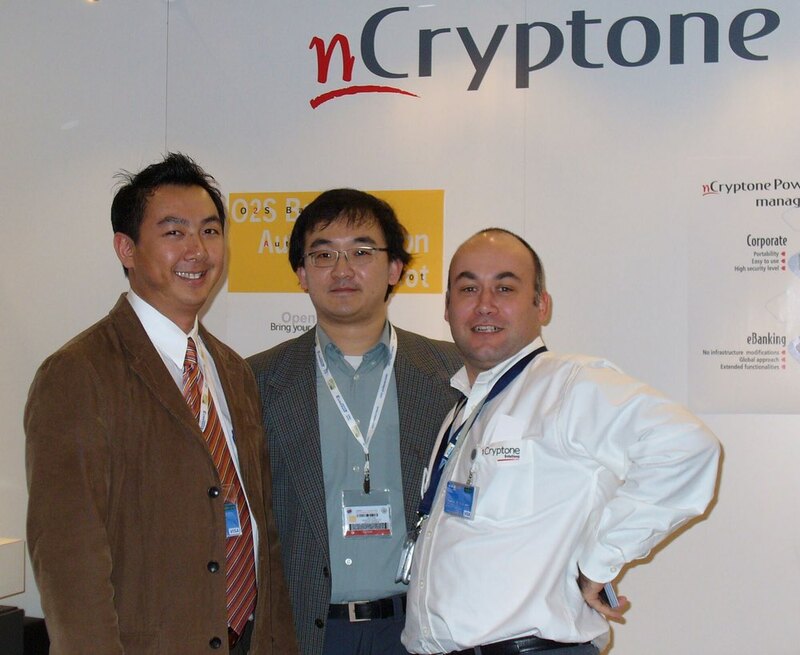 Both Thep and Philippe have acted as champions of my invention, while Philippe was also a wonderful mentor. 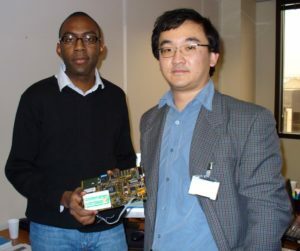 Visiting nCryptone HQ in Paris to develop the ‘reminder smart card’,with tech-whizz and project leader of my project, Didier Mobetie. 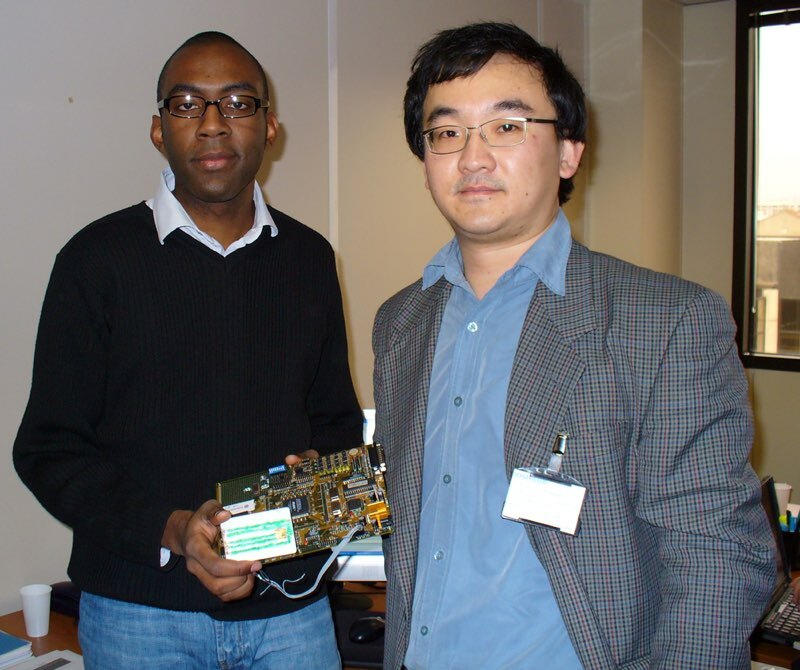 Talented Electronics engineering PhD student Heng Liu, who was my company’s first employee and business partner working hard on programming the development board of the world’s first reminder smart card. The ‘ProActive Reminder’, a related product that Heng and I have developed which was also featured in the ‘Journal of Assistive Technologies’ Volume 3, Issue 2 June 2009. For how this story develops, please check out my entertaining book ‘Blood, Dragons and Lions’.